Thank you very much for the photo! You guys look great with the car! We do hope that you and your family enjoy your car and we do look forward to doing business with you again. I have received the Vehicle thanks for your support. possibly can. Any way We can be of assistance, don’t hesitate to ask. The unit was well received. I like your customer care, CardealPage and Osita. Thank you again for your purchase from us. I received the car in very good condition, and its fantastic, it will indeed serve my wishes, keep- it up CardealPage, thanks very much. We are very happy to hear that you received this car in very good condition. Looking forward to making business again soon! The car arrived well and in good condition. You were so organised. Looking forward to buying another one soon. How are you I am happily surprised to receive your beautiful message. Thank you for trusting me to help you with your order (Toyota Dyna truck). It was my pleasure to work with for such a nice customer. I am looking forward to serving you soon. The car was a in good condition as seen on the website. The gear, steering were good. Breaks, tires were in good condition and I would recommend Cardealpage for any purchase of Japanese cars. I am very pleased to notify you that I have received the vehicle in very good condition. My family and I am very grateful for your support throughout the process. 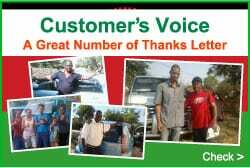 Thank you for your dedicated and honest Sales Team and I strongly encourage anybody to buy vehicles from you. 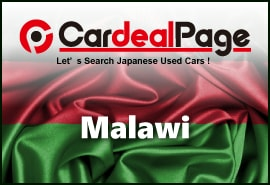 "BUY FROM CARDEALPAGE" for affordable, perfect and smart vehicles. I am satisfied with my vehicle and it is running perfectly. Keep up the good work to the entire world. You're the best! Thank you very much for your kind words about our service! If you think we’re the best, then we would say that you’re the best customer in the world for giving us so much praise about our service and the quality of our vehicles! Please let us know if you need anything more from us. We pride ourselves in looking after our customers even after they receive the vehicle, because we know that the key to building business is to make as many satisfied customers as possible. Thank you very much once again for the photos, and everybody from CardealPage wishes you all the best to you and your beautiful family! 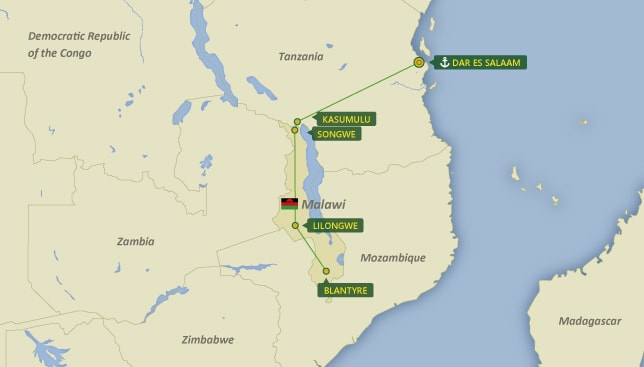 In case of delivery to LILONGWE, BLANTYRE & SONGWE via DAR ES SALAAM are include Customs Clearance Fee. Other restrictions : Right Hand Drive.